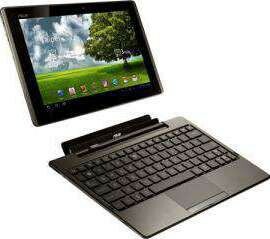 The Transformer comes in two parts, there's the tablet itself and the keyboard dock which further expands its functionality. Let's start with the tablet. Measuring just 12.9mm in thickness, it's really slim and light too, at just 695g. The Galaxy Tab 750 still remains the slimmest and lightest 10.1-inch tablet though. The TF101G is built extremely well and it just feels like it costs a premium (which is does). Instead of a plain, boring back, Asus have gone with a nice patterned design and the colour is very eye catching as well. The tablet sports an IPS panel and a scratch-resistant glass for added protection. We offer express delivery to Dubai, Abu Dhabi, Al Ain, Sharjah, Ajman, Ras Al Khaimah, Fujairah, Umm Al Quwain, UAE for Eee Pad Transformer TF101G. We offer the best price for Eee Pad Transformer TF101G in Dubai, UAE. Buy now with the best price!